Home / Podcasts / Themes / UK Women's Movement: How did Women achieve the Vote? 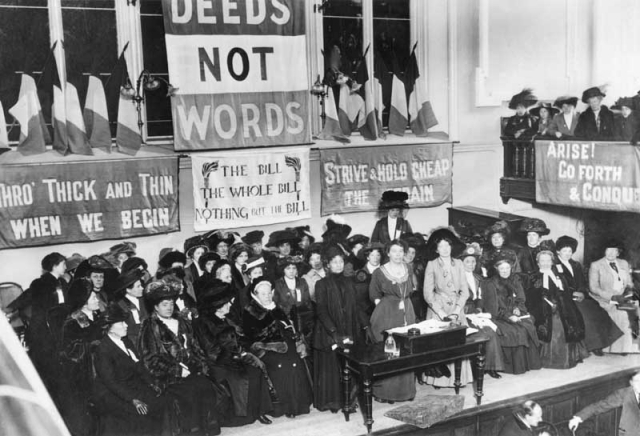 In this podcast Professor June Hannam of the University of the West of England looks at the key forces that led to women achiving the vote in the early 20th century. 2. Opposition to Women's suffrage. 3. How significant was women's own organised campaign in attempting to gain the vote? 4. Militancy, the Pankhursts, propaganda campaigns. Diversity of opinion within the movement. 5. Britain had the largest suffrage campaign in Europe - what was militancy's effect? 6. What is the impact of World War 1 on the gaining of women's franchise? 7. Had the case for Women's Suffrage been won before the War? 8. Connections between the British, European and North American Women's Movements.